Buying and selling residences at John’s Island demands expert representation. Count on John’s Island Real Estate Company to provide it. When it comes to serving your John’s Island needs, look no further than John’s Island Real Estate Company. Since 1969, our team of experienced, professional Sales Associates live on John's Island, and are experts in understanding all aspects of the unique John’s Island lifestyle and property ownership including memberships, fees and assessments, water management and architectural review standards. Unlike any other real estate company, we invest 100% of our time and resources on John's Island properties. We are the only on-site agency, maintaining an average of nearly 93±% market share. Our sales team brings buyers and sellers together to craft agreements that offer long-term value for each of them. That's why buyers and sellers continue to choose JIRE time after time, as well as refer their friends and family to us. Because we only sell John's Island properties, we know the inventory and have an inside track on resale properties and upcoming property releases. As evident by our continued success and proven track record, selling your property requires one crucial ingredient – a John's Island specialist. When Bob Gibb visited John’s Island in 1976, he knew it was where he wanted to live one day. A few years later, he and his wife purchased a home in the more-than-upscale community he’d fallen in love with. 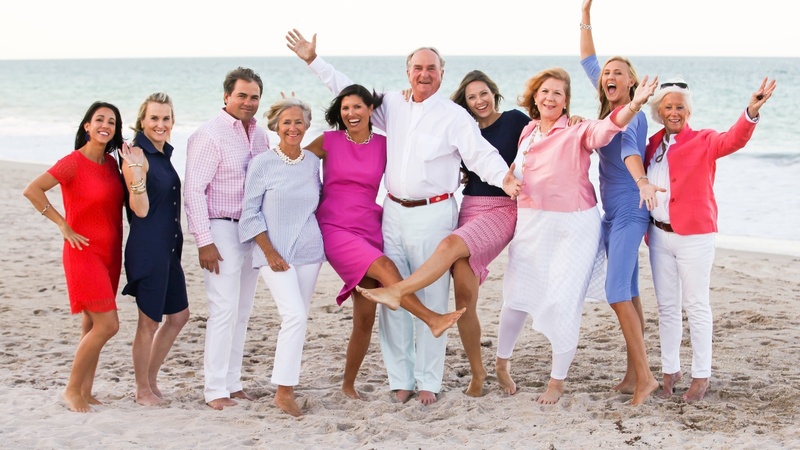 A Kansas City native and graduate of the University of Kansas, Bob moved to Manhattan to become a successful investment banker on Wall Street from 1968 to 1989 before moving to John’s Island when he switched careers to enter real estate. After 10 years as a top producing broker, Gibb proudly purchased John’s Island Real Estate Company from the late developer’s daughter, Helen “Lollie” Ecclestone, in October of 1999, and has been working with the same affluent client base he knew as a banker. 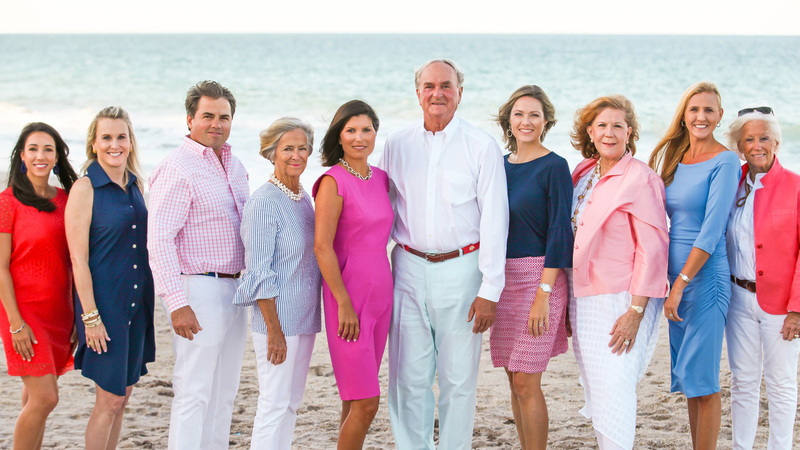 As a John’s Island resident for over 30 years, Bob has earned the reputation as the leading luxury real estate broker and agency on the barrier island. Bob consistently leads the industry in sales volume and attracts top talent, ensuring his team of experts represent only the best in the industry. His passion and extensive knowledge make him and his team the go-to source for information and education about the ultra-luxury lifestyle on John’s Island. Giving back to the community is just as important to Bob, who’s philanthropic resume reads as a “Who’s Who” among John’s Island and the local community, where he recently served on the Board of Directors for The Riverside Theatre, Northern Trust Bank, Community Church and several other local corporate boards. He was also formerly on the Board of Trustees for The Treasure Coast Wine Festival and Saint Edward’s School and was a founding board member for Marine Bank & Trust in Vero Beach. Judy and her late husband Tom, discovered John’s Island in 1972, and moved here from Bloomfield Hills, Michigan in 1984. Shortly thereafter, she joined John’s Island Real Estate Company. Her vast experience and knowledge of the JI community and surrounding area, as well as her passion for interior design, has been instrumental in the success of her flourishing real estate career. She enjoys spending time with her family, traveling, golf and is an active member of the John's Island community. Jeannette’s professional career in business and the real estate industry started in 1970 in Maryland. Over the past several decades, she has had a very diverse business background culminating as the Executive Vice President and General Manager of Allied Container Corporation in Baltimore, Maryland. She and her late husband, Don, moved to South Florida where Jeannette continued her business pursuits in the real estate industry as a top producer and extremely successful real estate broker in Boca Raton. Jeannette is involved in numerous community activities and was a working member of the Board of Directors of John’s Island Community Service League for over 11 years, and has been a resident of John’s Island since 1990. Ba and her family moved to John’s Island from Darien, Connecticut in 1972. She has a vast knowledge of real estate and the John’s Island community. Her 40+ years of residing here has given her the opportunity to live in a variety of properties, which has included both building and renovating. An avid golf and tennis player, she has also been involved in several community organizations since moving to John’s Island. Michael has lived in Vero Beach since 2000, and is passionate about the community of John’s Island. His experiences bring a unique combination of business knowledge and private club management to ensure a complete understanding of his client’s needs. Originally from Middlebury, Vermont, he is a graduate of the Northfield Mount Hermon School and of Gettysburg College where he earned a bachelor’s degree in Business Management. Prior to joining the John’s Island Sales Team, Michael was a PGA member and served as the Golf Professional at RedStick Golf Club in Vero Beach and Miacomet Golf Club on Nantucket Island. Before coming to John's Island, he was a Financial Advisor with Merrill Lynch in Palm Beach, Florida. Many of you may already know Kristen, as she has been an assistant to Bob Gibb from 2007-2014. Born in Zama, Japan and raised in Locust Valley, New York, she attended Old Westbury School of the Holy Child, and later graduated from New York University with a B.A. in Psychology. Kristen spent several years in Aspen and Los Angeles prior to moving to Vero Beach in 2005, where she immediately pursued her real estate career complementing her diverse background and worldly experiences. She enjoys traveling, volunteering, the occasional triathlon and an action-packed life with her husband, George Nagy and children, Kendra and Gavin. Susie's love for the John’s Island community began over 15 years ago when her parents moved to John’s Island. Originally from Darien, Connecticut, her real estate career developed in Vero Beach where she was a top producer for five years. Upon graduating from Boston College with a Bachelor’s degree in Art History, she spent several years in fixed income sales on Wall Street before raising her four daughters in CT, where she served on the Darien Board of Education. Accredited with a distinction earned from the National Association of Realtors, Perticone holds a GRI license (Graduate, Realtor Institute). Her professionalism and knowledge of John’s Island/Vero Beach, as well as luxury markets, complement her own experiences, ensuring a seamless transition for her clients. In her spare time, she enjoys traveling, golf, cooking, and yoga. In 2014, Cheryl Sangbush joined John’s Island Real Estate Company as a Licensed Broker-Associate Assistant to Bob Gibb, Broker/Owner & Kristen Yoshitani, Sales Associate. Sangbush has been active in real estate for over a decade. Most recently, she was a Sales Associate with Windsor Properties and a Broker Associate at Berkshire Hathaway in the resort town of Vail, Colorado. Previously she spent seven years with Norris & Company specializing in barrier island properties in Vero Beach. She has comprehensive knowledge of the luxury second home market, tenacity as a professional and a strong penchant for details. Her enthusiasm, resourcefulness and reputation are the cornerstones to her success. Sangbush understands the importance of catering to the needs of clients and works to the best of her ability to ensure the highest level of service.